Manny Pacquiao is going to Hollywood – not to train at the Wild Card Gym but to do a movie with Sylvester Stallone. Pacquiao’s business manager Erik Pineda yesterday said the boxing superstar met with Stallone, the Hollywood action star, last Jan. 6 at the latter’s Los Angeles office. 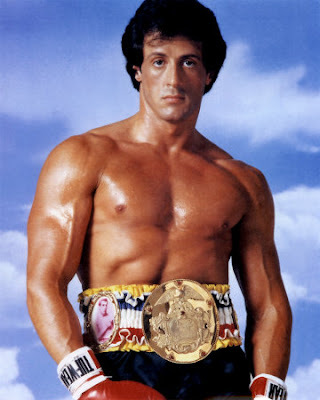 They talked about the movie being planned by Stallone, who captured the world’s imagination with his role as boxer Rocky Balboa in a string of “Rocky” movies that spanned three decades. According to Pineda, Pacquiao even brought his sons, Michael and Jimwell, to the meeting. Stallone gifted the young Pacquiaos with a pair of boxing gloves. The gloves had the signature of former world light-heavyweight champion Tony Tarver, who played a major role in the last of six Rocky movies (aired in 2006). “Everything is in the planning stage but what’s certain is that Sylvester Stallone wants Manny Pacquiao in the movie as one of the co-stars,” said Pineda. “It’s not a boxing movie but something like ‘Rush Hour’ (a Jacky Chan-Chris Tucker hit),” said Pineda, who welcomed Pacquiao at the airport yesterday morning. Pacquiao arrived from Los Angeles where he spent Christmas with his family and at the same time stayed close to his wife Jinkee who delivered their fourth child last Dec. 30. Jinkee and the baby girl, named Queen Elizabeth, would stay in the US until Jan. 16 to make sure that it’s safe for them to take the grueling 15-hour flight to Manila. Upon his arrival at around 5 a.m., Pacquiao stayed at the airport and took the first flight out to his hometown in General Santos City at 7 in the morning. Pacquiao, according to Pineda, didn’t want to spend time in Manila because he wanted to catch up on his studies at Notre Dame where he’s finishing a business course. Pacquiao was also excited to suit up for his basketball team that is entered in an upcoming tournament. The boxer, however, may not be in the country for long. He wants to be at ringside when Antonio Margarito, whom he might face in the future, fights Shane Mosley on Jan. 24 at the Staples Center in Los Angeles. Pacquiao is set to face Ricky Hatton on May 2 in Las Vegas, and will soon launch the press tour that will take both fighters to England and key cities in the United States. He begins training on March 1. Meanwhile, one of Pacquiao’s buddies in LA, Greg Asuncion, has reportedly filed an “unlimited” civil case against trainer Freddie Roach for an incident that took place last October at the Wild Card Gym. Asuncion claimed that Roach hit him from behind after he was asked to step out of the gym while Pacquiao trained. But there are claims, too, that no hitting ever took place.